Bear Itinerary - Destination Campbell River | Plan Your Trip Today! BEAR ITINERARY noun, \ ˈber \ - Often found roaming in deep forests, the Bear wanders the mountain trails, leaving sturdy footprints in its wake. Pick up a quick delicious breakfast pastry and coffee to go at Daves’ Bakery before heading out of town for the afternoon. This locally owned cafe is famous for their fresh specialty breads, featuring a different flavour baked each day of the week. Your next stop is Mount Washington Alpine Resort for a nordic adventure. Depending on when you visit, you can either snowshoe or hike the trails weaving through alpine meadows and old growth forests in Strathcona Provincial Park. 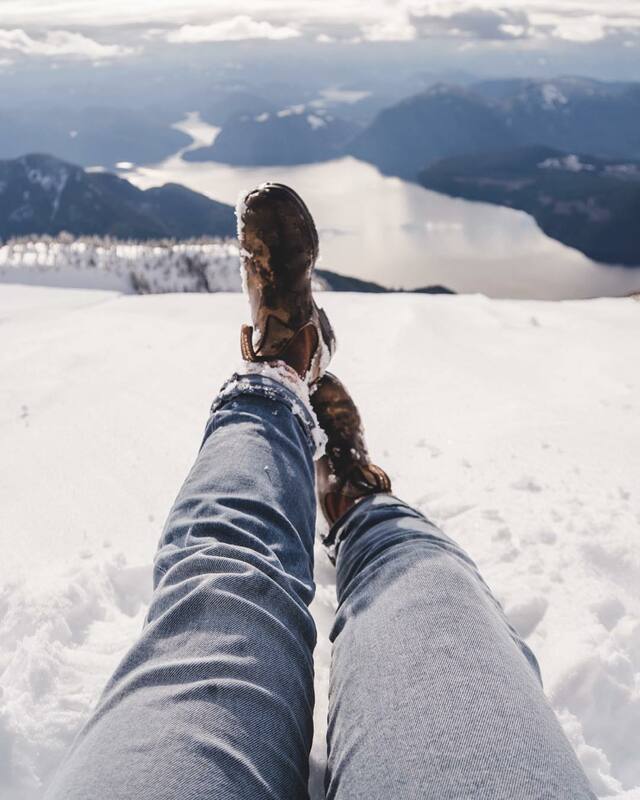 Take in the snowy mountain scenery while you explore the peaceful trails, visit the friendly whiskey jacks, then head back to the lodge for a warm drink before the picturesque drive back down to the coast. Back in town, make your way along the Campbell River Spit to the Carving Shed, located on the traditional territories of the Wei Wai Kum people. 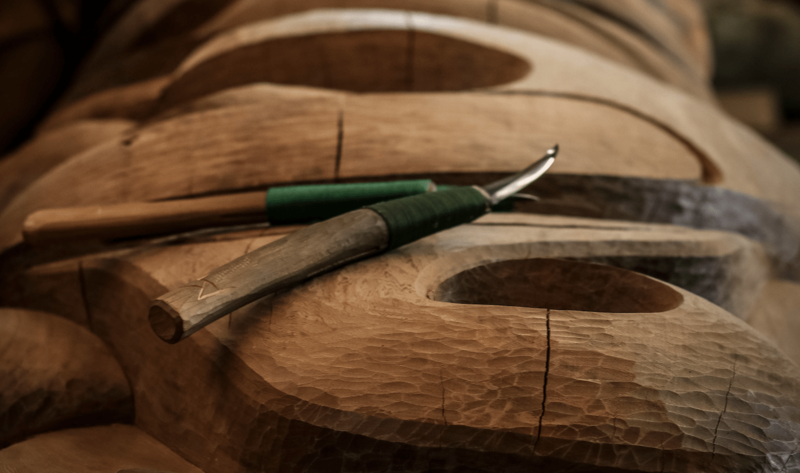 Visitors of The Shed bear witness to the process of creating traditional Indigenous art, a skill passed down for generations by the master carvers of the Henderson family. Listen as the brothers share stories of the unique pieces created, which blend traditional Indigenous art with contemporary west coast style. End your day warming up by the re with a warm drink at FoggDukkers. This unique Campbell River coffee shop is a true west coast experience, and one that should not be missed. The rustic and laid-back vibes of this oceanside hotspot will make you feel right at home. Outdoor seating gathers around the roaring beach re, so pick your favourite driftwood chair and hunker down for some much needed T-L-Sea as you spin a tall tale of your alpine adventures.